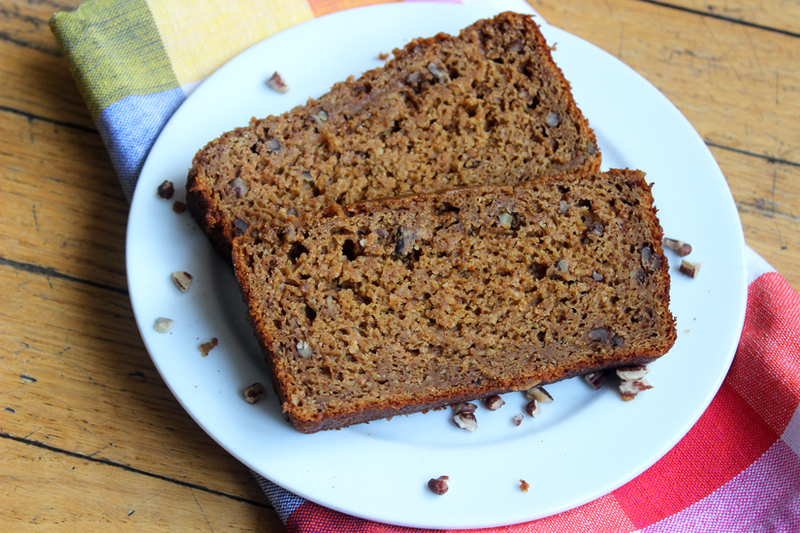 This Sweet Potato Quick Bread made me brave. I am not a fan of sweet potatoes, to put it mildly. Not in a casserole, not by themselves, not mashed, not even fried; I just don’t like them. But when challenged, I was forced to admit that I also don’t like pumpkin, not even pumpkin pie, and I bake with it all the time. I even bake with zucchini, another detested vegetable. And cooked carrots are also on my list of foods despised, but somehow when they’re baked into a muffin or a bread they take on a whole new and delicious life. So I branched out. I bought a can of pureed sweet potato and kept it on the shelf until I was ready. I pinned recipes. I waited. I baked other things. I waited some more. And then it was time. 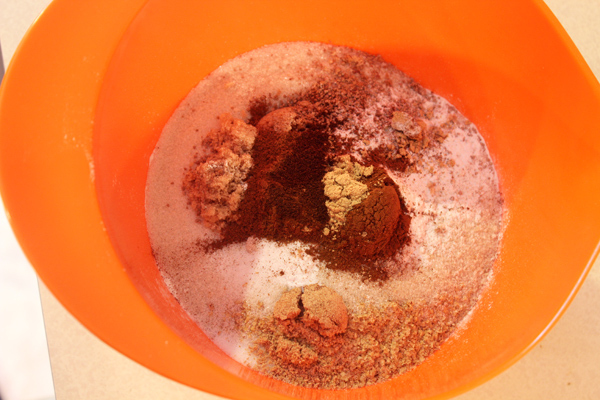 I altered the dry ingredients slightly to include wheat germ in the mix, and played with the spices. Then I remembered that I was supposed to include the chopped pecans. Separately, I whisked the liquid ingredients together: eggs, vanilla, sweet potato, yogurt (replacing the applesauce), and milk. And then I combined the two. So far, so good. 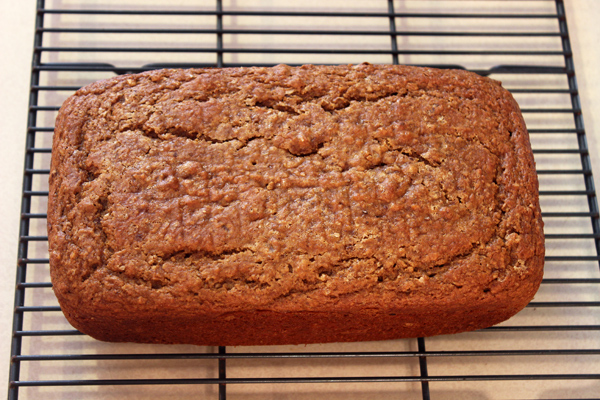 I scraped the batter into a loaf pan, and popped it into the oven, with hope and trepidation. The recipe said to bake for 50-60 minutes, but at 45, my loaf seemed done. I looked at it nervously. I tried poking it with a fork, but that didn’t tell me anything. I finally bit the bullet and gave it a taste, and was not pleased. The flavor was bland, and the texture almost grainy, like there was something that hadn’t baked quite right. But then, something wonderful happened. 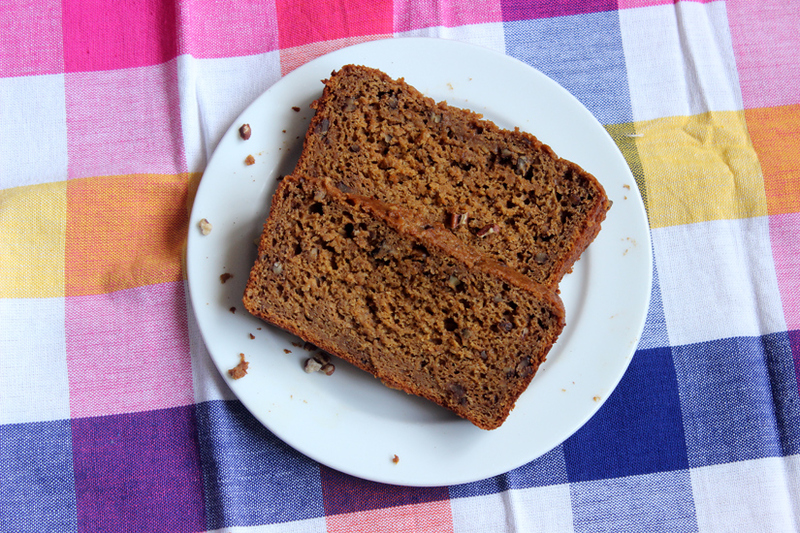 I let the bread sit overnight, and when morning came, gone was the grainy-ness and in came the soft texture, the crunchy nuts, and a flavor not unlike that of a pumpkin bread. Success! Of a sort. I ate it for breakfast over the next few days. In all honesty, I’d put this one in the “acceptable” category, which means it’s also in the “I don’t think I’ll be making this again” category. It was good, but it wasn’t stellar, and I don’t see the point of making something twice if it isn’t stellar. 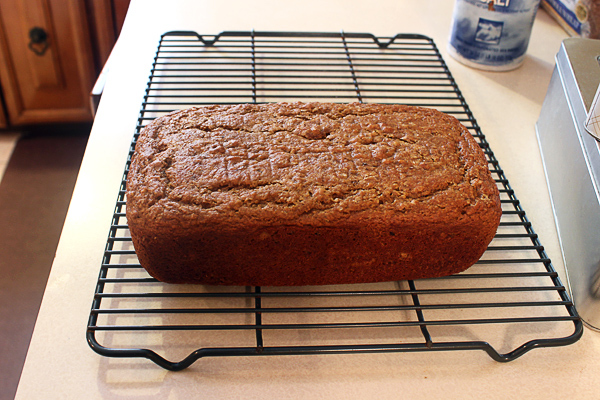 Heat oven to 350 degrees, and spray or grease a 9″ x 5″ loaf pan. 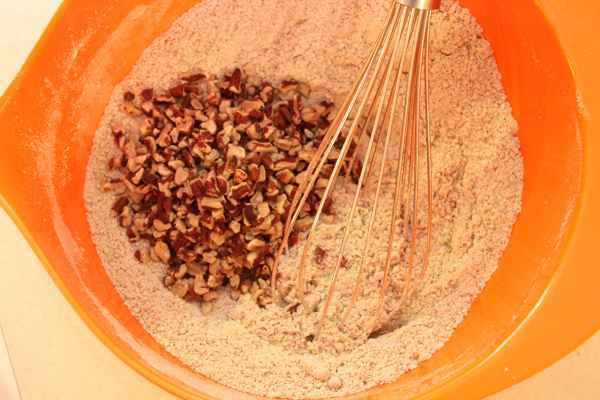 In a medium bowl, combine the flours, wheat germ, sugars, baking powder, baking powder, salt, cinnamon, nutmeg, ginger, cloves, and pecans. 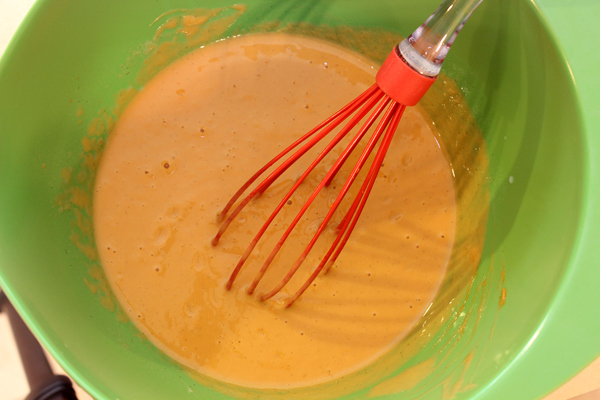 Whisk well. 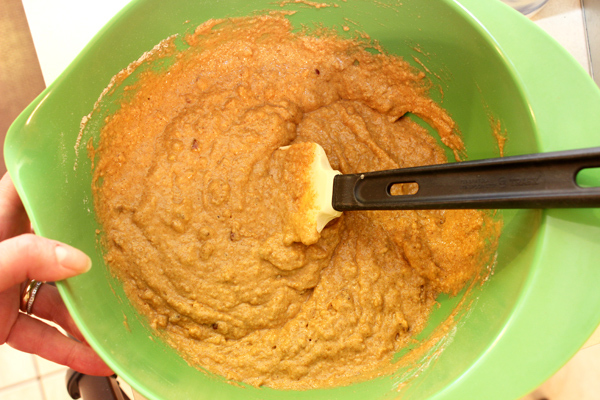 In a larger bowl, beat the eggs lightly, then add the vanilla, sweet potato, yogurt, and milk. 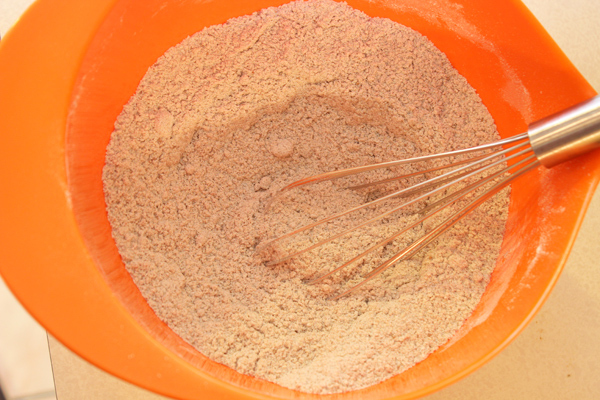 whisking vigorously. 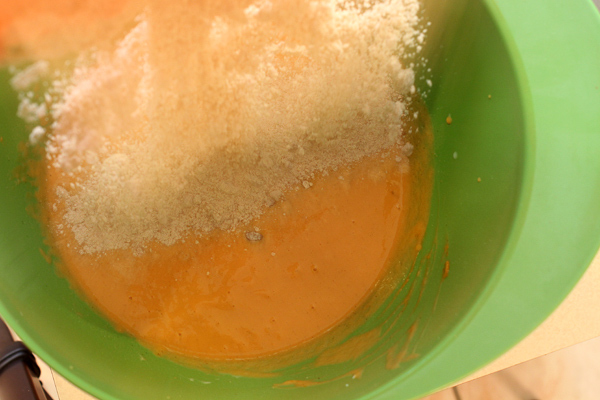 Pour the flour mixture into the liquid ingredients and stir with a spatula, just until combined. 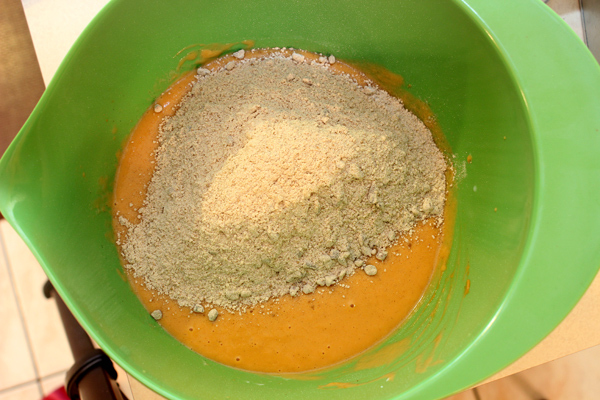 Scoop batter into the loaf pan, and bake for 40-50 minutes, until a toothpick comes out clean. Let bread sit in the pan for 10 more minutes, then move to a wire rack to finish cooling. Let the bread sit overnight before eating.